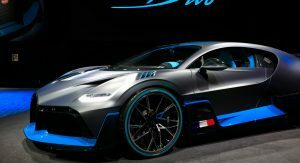 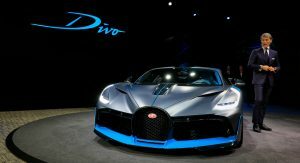 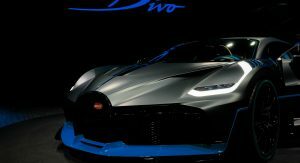 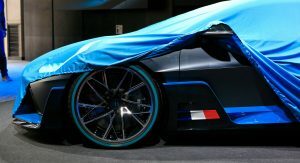 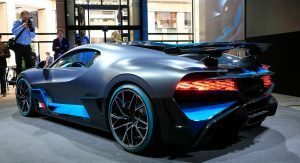 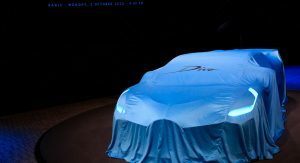 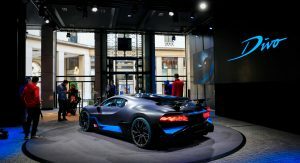 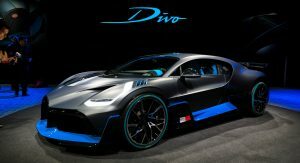 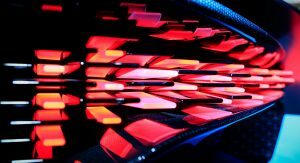 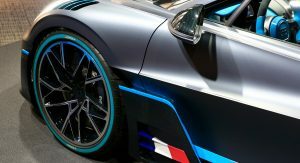 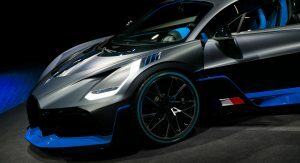 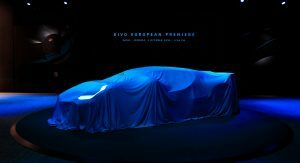 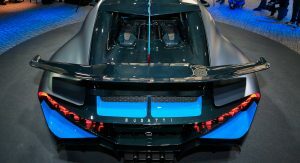 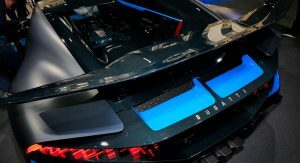 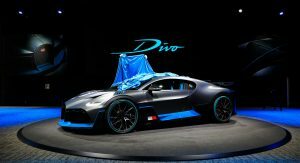 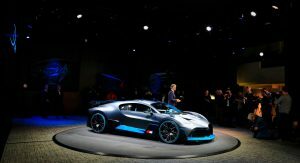 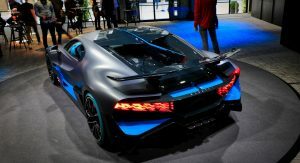 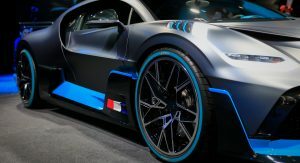 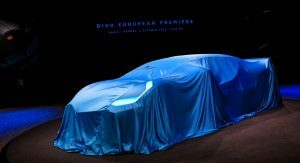 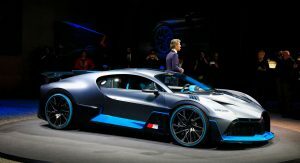 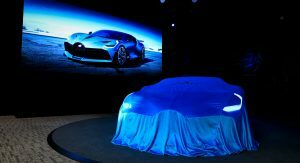 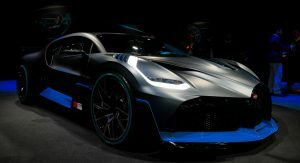 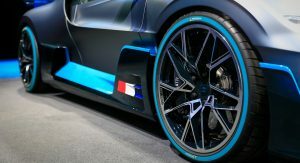 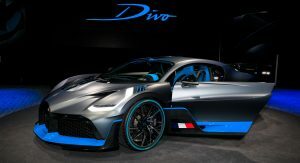 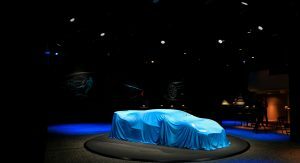 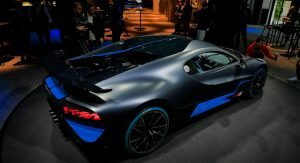 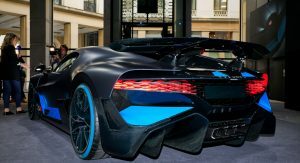 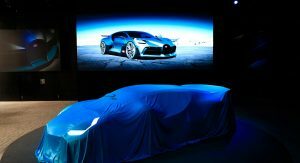 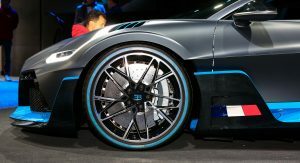 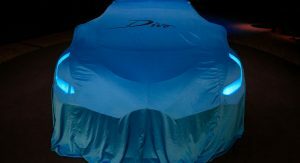 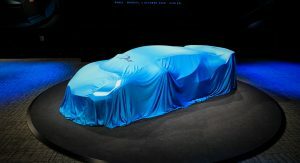 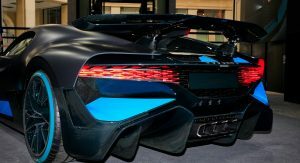 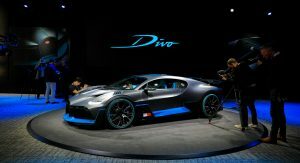 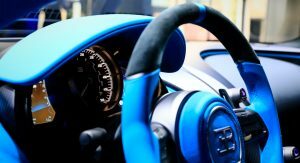 The Bugatti Divo is one of the most exciting models on display at the 2018 Paris Auto Show. 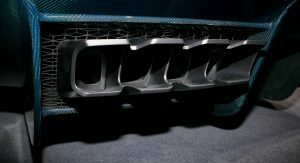 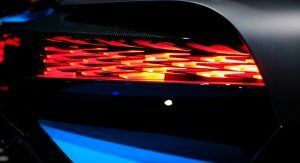 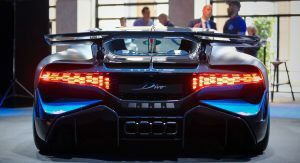 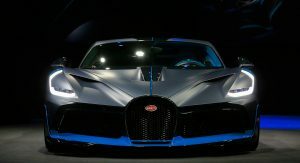 Revealed in Europe for the first time, after it debuted at Pebble Beach Concours d’Elegance back in August, the hypercar builds upon the Chiron, to which it adds a lot of improvements. 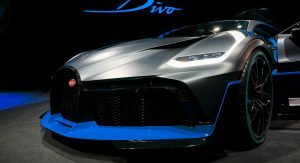 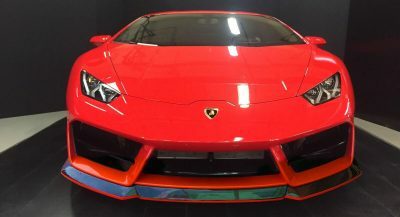 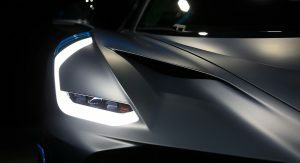 Be it the sharp exterior design, interior enhancements or modified chassis, all of them come together to create a mind-blowing price for a production model: nearly $6 million. 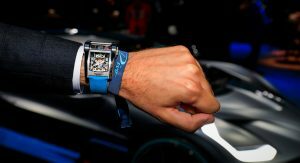 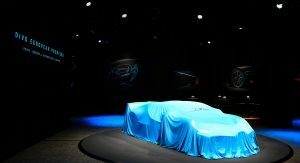 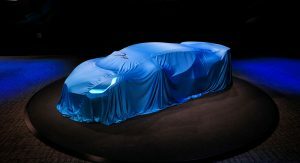 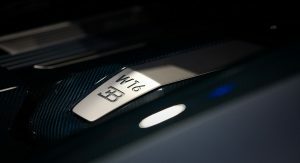 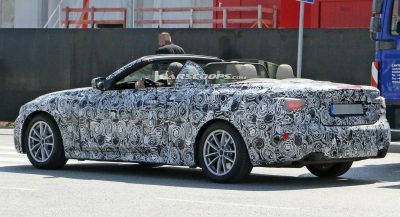 But with only 40 units to be produced, all of them were spoken for long before its official unveiling. 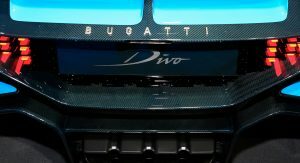 Also Watch: Is The Bugatti Divo Really Worth Twice As Much As The Chiron? 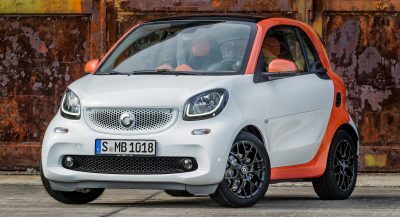 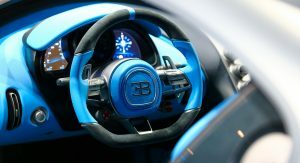 Some of the technical upgrades include revisions made to the steering and suspension. 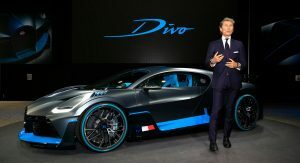 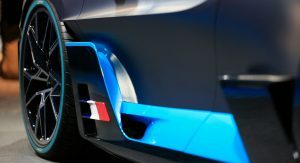 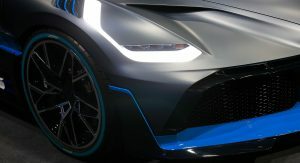 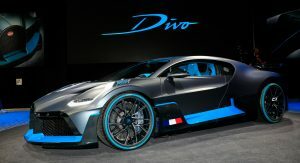 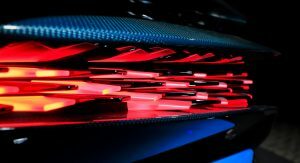 Also, thanks to weight saving measures, the Bugatti Divo is 35 kg (77 lbs) lighter than the Chiron, which tips the scales at nearly 2 tons (4,400 lbs). 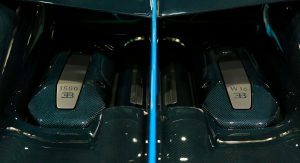 Located behind the seats is the same quad-turbo’d 8.0-liter W16 engine that powers the Chiron. 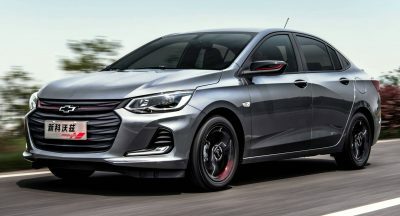 It hasn’t been massaged in any way, but with 1,500 PS (1,479 hp / 1,103 kW) and 1,600 Nm (1,180 lb-ft) of torque available, just like in its more mainstream sibling, it’s not like it needs more power. 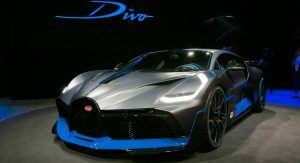 Moreover, since this is a modern Bugatti we’re looking at, its top speed is hard to beat, even if it’s electronically limited, as the number to go for is 380 km/h (236 mph). 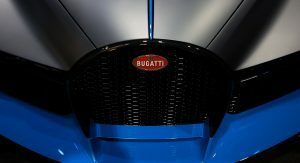 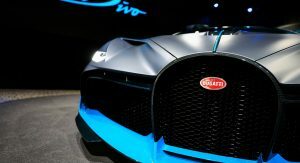 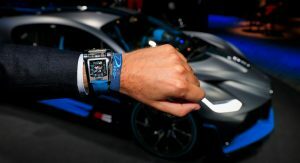 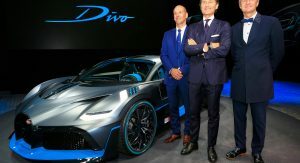 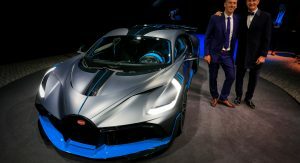 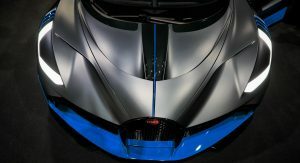 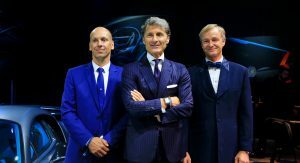 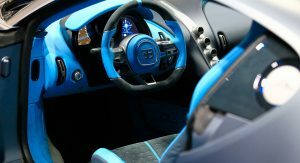 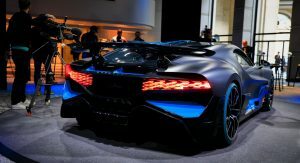 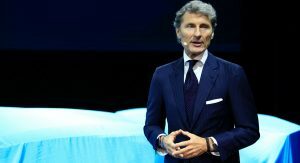 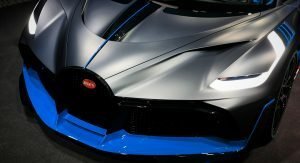 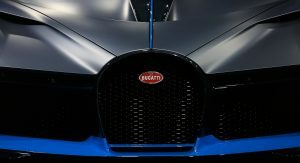 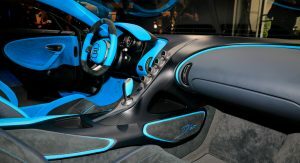 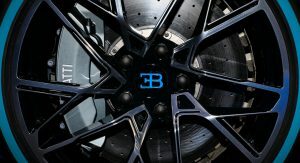 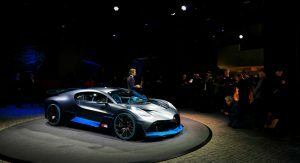 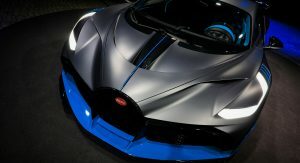 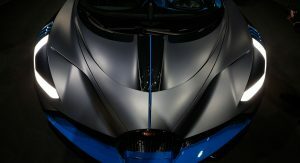 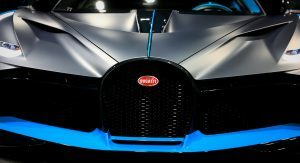 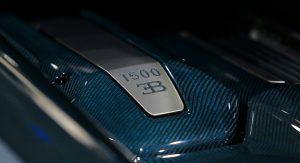 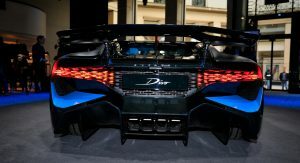 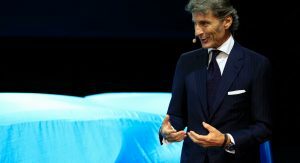 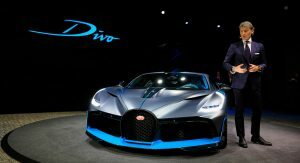 If you cannot make it to the biggest car show of the fall, which is open to the public between October 4 and 14, then you can spend a few minutes admiring it in our photo gallery, scrolling through the 92 images that present it from a lot of angles, joined by Stephan Winkelmann, Bugatti’s new President. 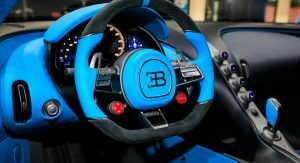 Looks more like a speedboat than a beautiful sports car, particularly with that weird shade of marine blue on the interior. 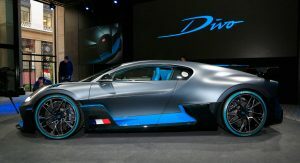 Not bad, but could’ve been finished much more tastefully in my not so humble opinion. 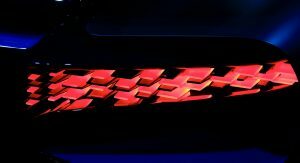 I’m actually excited. 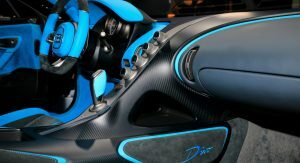 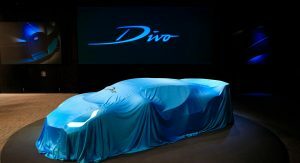 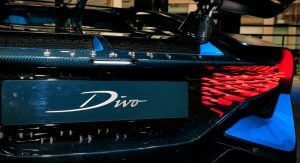 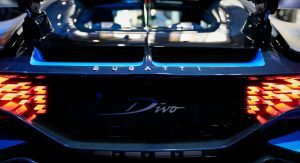 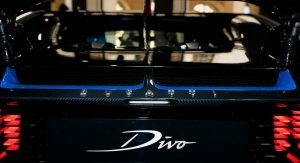 I love the Divo! 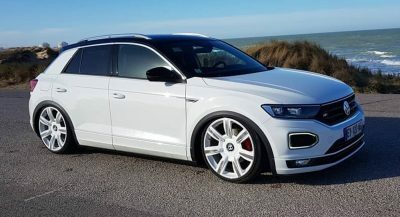 I’m in love with this car. 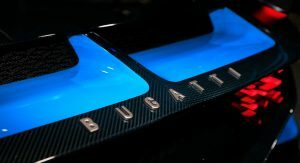 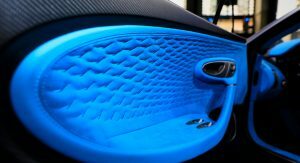 I would love to see this on other shades, someone need to order it with Belgian king Bugatti color, black on yellow stripes.